Wedding Traditions – What Day Should You Wed? Have you ever wondered why engagements are celebrated with a ring? 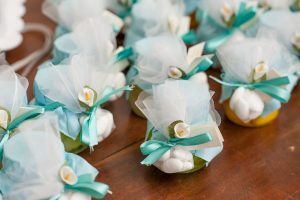 Or why couples provide their guests with favours? We look at some of the most well known wedding traditions, and see if they should influence your big day. At Woodhall Manor we know you’ll have a magical day whatever day you choose to tie the knot. We often encourage our couples to consider day’s other than Saturday for their wedding. Not only are you more likely to be able to secure the date of your choice, but choosing a midweek date can also save you money so Wednesday may very well be the way forward. And which month should you pick for your wedding? Well, the Ancient Romans believed that your marriage would be blessed by the Queen of Gods and protector of married life, Juno, if you married in the month of June. We think that whichever month you choose, you’ll be able to have a fabulous and memorable celebration, and there are plenty of reasons to select each and every month of the year. 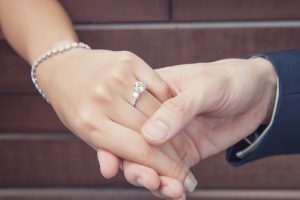 Ever wondered why an engagement is symbolized with a ring? There is evidence to suggest the Ancient Egyptians celebrated an intention to wed by wearing a ring on their 4th finger. Apparently, a vein in this finger runs straight to the heart so there is a loving link from the ring, to the heart of your partner. This tradition lasts to this day with the majority of couples still opting to purchase an engagement ring. As De Beers once stated, “A diamond is forever”, and this still rings true with diamonds the most popular stone choice for an engagement ring. Diamonds are the hardest stones and therefore, the most durable for a piece of jewellery that is worn every day. There is also still a feeling of scarcity, rarity and exclusivity associated with diamonds though we think this may have something to do with clever marketing! Perhaps the most controversial tradition we’ve found is the fact that the word ‘bride’ is derived from the Teutonic word meaning ‘cook’. We think this is a little sexist to be honest, and perhaps not really relevant to our 21st century lifestyles. We’re going to leave this tradition to one side, unless of course, the bride-to-be just happens to be a chef, in which case, it’s a happy coincidence! The tradition of giving your guests a memento of your wedding dates back to at least the 17th century when lucky guests at society weddings received gifts of gloves, scarves or even jewellery. As sweets became more widely available, it then became traditional to give 5 pastel coloured sugared almonds signifying health, wealth, fertility, happiness and long life. Today, we see all manner of favours being given to guests with hugely creative and personal gifts such as homemade chutneys, handmade chocolates and even packets of seeds. Whatever your approach to these traditions, our expert wedding planners at Woodhall Manor can help you plan your perfect day, guide and give advice on every detail.